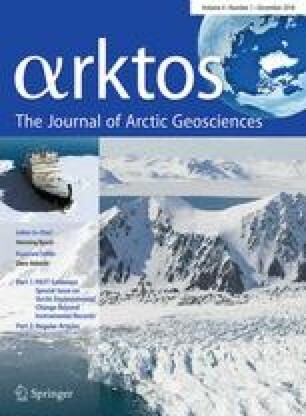 Sediment cores from the East Siberian and Chukchi margins and adjacent basins are used to refine the upper Pleistocene stratigraphy and better constrain the timing of major glacial advances in the western Arctic Ocean. Cores have been analysed using high-resolution non-destructive physical properties (density, magnetic susceptibility and colour) and X-ray fluorescence elemental measurements (manganese and calcium contents). All analysed cores reveal a spatially coherent stratigraphic pattern that enables robust correlations from the East Siberian margin to the Mendeleev and Northwind Ridges, thus highlighting the potential of such multiproxy approach for improving stratigraphic framework. The distribution of sedimentary units resulting from core correlation indicates decreasing sedimentation rates by more than one order of magnitude from the East Siberian margin east- and northwards, reflecting an increased distance from the main sediment sources, increasing sea-ice cover, and longer residence times in the Beaufort Gyre circulation. The stratigraphy presented, consistent with existing geophysical data, indicates the most recent major glacial advance from the East Siberian margin with ice grounding at water depth > 800 m during estimated Marine Isotope Stages 4/3, roughly contemporaneous with the Middle Weichselian glaciation in northern Eurasia. Earlier glacial events are potentially indicated by glaciogenic units in cores away from the margin, where they are not overprinted by a younger ice advance. Sediment thickness increase towards the Siberian margin also suggests the possibility of a limited MIS 2 glaciation, although no direct evidence for such an ice sheet has been found thus far. The online version of this article ( https://doi.org/10.1007/s41063-018-0057-8) contains supplementary material, which is available to authorized users. We would like to thank the captain and crew of RV Araon and RV Polarstern for excellent collaboration and support during expeditions ARA03B, ARA06B, and PS72. Work on this paper was funded by the Seed-type Research Program (no. PE18350) of the Korea Polar Research Institute. LP was supported by the US National Science Foundation awards ARC-0806999 and ARC-1304755. In addition, this paper is a contribution to the AWI Research Program PACES II, 3.1 and 3.2. Comments from two anonymous reviewers helped improving this manuscript.